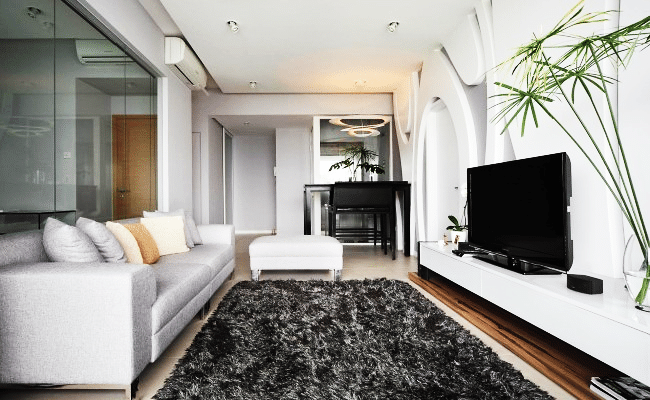 Rugs are a welcome luxury for any interior. In so many ways they shape the values and character of an interior. 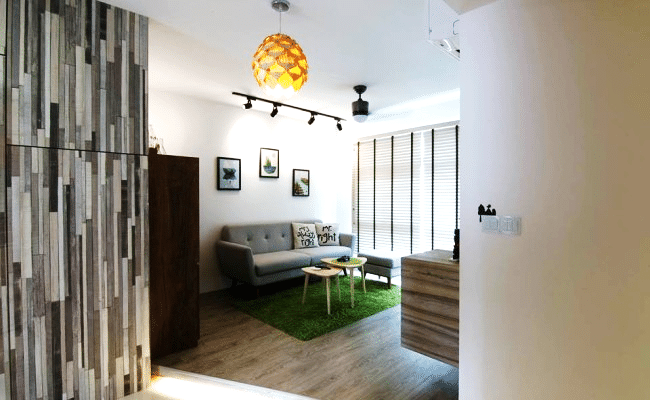 Their soft appearance brings a peaceful vibe to the place and their placement helps in defining the focal points of the interior, therefore creating a functional and emotional priority for separate regions of a home. Here we have a look at some cool interiors that stand out because of their fascinating rugs and their evocative textures. A monochrome color palette is the theme of this interior and that has made the choice of the central rug a winner all the way. The rug echoes the spirit of the living area with its neutral shades and woolen appearance and also emphasizes the casual style statement of this contemporary interior. The interior is rich in white and occasional green which makes this rug a special addition that unifies this whole place in a minimal fashion. 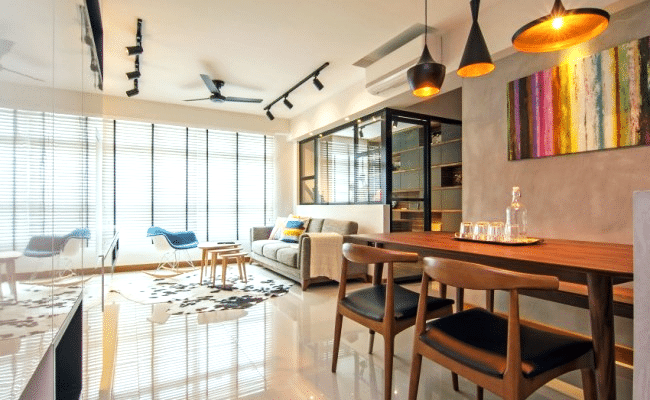 The interior from Freshome is really stylish with its raw elements presenting an aura of casual style and flamboyant charm. As if to spice things up, the rug makes its appearance. 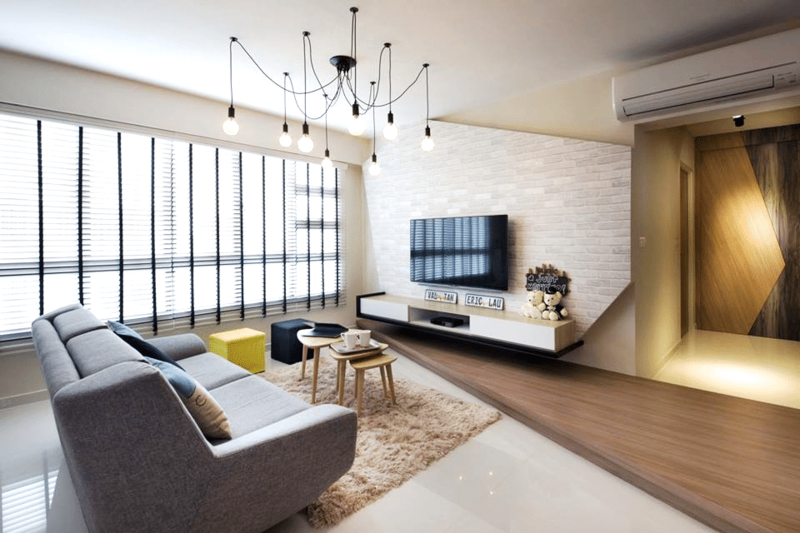 With its carefree splashes of brown and white the rug makes the living area an inviting one, where time will pass by quickly as you enjoy a fruitful conversation or watch your favorite movie on that tele screen. This Scandinavian place is a pure delight with its subtle techniques to decorate the interior. 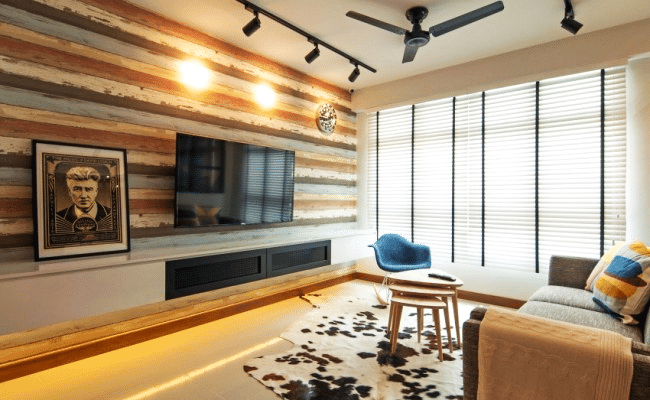 Just have a look at the living room as an example; simple wooden flooring with huge blinds as a substitute for window and a green rug at its center. This works perfectly as the element of green sets the mood perfectly in the living region making it pleasant to sit around for hours in pure bliss. This residential makes use of a rug that helps to unify the place the way its title suggests. Since the place is majorly white, it required something to create a striking balance while also avoiding anything flashy - hence the black rug that becomes the statement of this fabulous living room. The vast space on offer is a bonus as the wooden flooring combines with the rug to present a space where warmth and brightness combine to create a welcoming home. 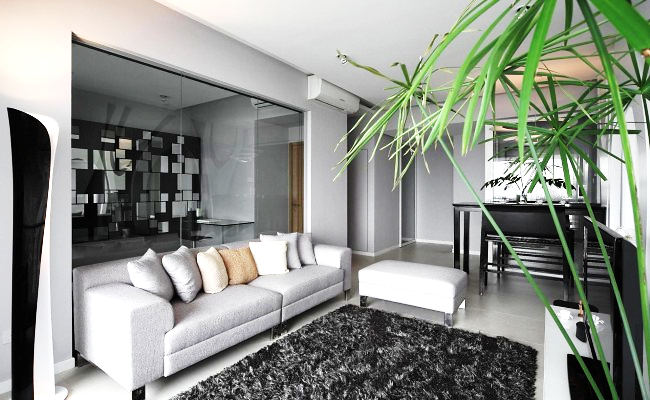 The modern interior has a natural appeal vibe to it with grey, exposed sidewalls and flush wooden flooring. 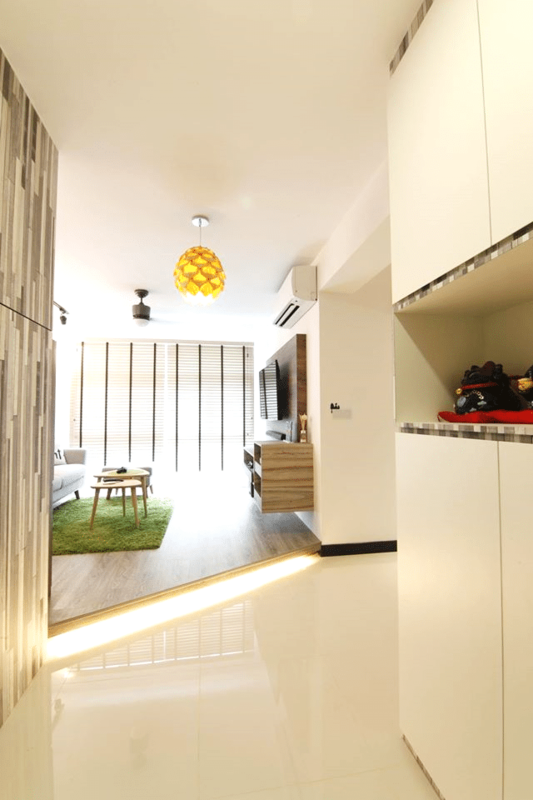 The lighting is minimal and in line with the theme of the apartment. This is where the rug plays it role. It absorbs any extra light reducing the glare and so it presents the place with a peaceful and warm mood. The intricate patterns are especially evocative and the rug fulfils its role by holding this room together.